Anchor Lester Holt and this venerable news-magazine are back for season 21. It’s hard to believe that Dateline has been around for that long and continues to bring in decent ratings for the peacock network. Dateline typically airs on Friday nights at 10pm on NBC. Final season averages: 1.3 rating in the 18-49 demographic with 5.16 million total viewers. 1.2 in the demo (+9% change) with 5.29 million (+15% change). Season averages: 1.30 in the demo with 5.16 million. 1.1 in the demo (-8% change) with 4.60 million (-10% change). Season averages: 1.30 in the demo with 5.15 million. 1.2 in the demo (-14% change) with 5.09 million (-14% change). Season averages: 1.31 in the demo with 5.18 million. 1.4 in the demo (0% change) with 5.93 million (-5% change). Season averages: 1.32 in the demo with 5.18 million. 1.4 in the demo (+8% change) with 6.26 million (-7% change). Season averages: 1.31 in the demo with 5.15 million. 1.3 in the demo (-7% change) with 6.71 million (-3% change). Season averages: 1.31 in the demo with 5.09 million. 1.4 in the demo (+27% change) with 6.89 million (+56% change). Season averages: 1.31 in the demo with 5.01 million. 1.1 in the demo (-15% change) with 4.41 million (-10% change). Season averages: 1.31 in the demo with 4.90 million. 1.3 in the demo (+8% change) with 4.92 million (-11% change). Season averages: 1.32 in the demo with 4.93 million. 1.2 in the demo (0% change) with 5.53 million (+8% change). 1.2 in the demo (-14% change) with 5.12 million (-11% change). Season averages: 1.33 in the demo with 4.89 million. 1.4 in the demo (-7% change) with 5.72 million (+1% change). Season averages: 1.34 in the demo with 4.87 million. 1.5 in the demo (+88% change) with 5.67 million (+51% change). Season averages: 1.33 in the demo with 4.81 million. 0.8 in the demo (-60% change) with 3.75 million (-45% change). Season averages: 1.32 in the demo with 4.74 million. 2.0 in the demo (+18% change) with 6.78 million (+19% change). Season averages: 1.36 in the demo with 4.83 million. 1.7 in the demo (+55% change) with 5.69 million (+31% change). Season averages: 1.30 in the demo with 4.63 million. 1.1 in the demo (-8% change) with 4.34 million (-4% change). Season averages: 1.26 in the demo with 4.51 million. 1.2 in the demo (-8% change) with 4.54 million (-3% change). Season averages: 1.27 in the demo with 4.54 million. 1.3 in the demo (+18% change) with 4.66 million (+23% change). Season averages: 1.29 in the demo with 4.54 million. 1.1 in the demo (-21% change) with 3.79 million (-16% change). Season averages: 1.28 in the demo with 4.51 million. 1.4 in the demo (+8% change) with 4.52 million (-10% change). Season averages: 1.32 in the demo with 4.66 million. 1.3 in the demo (0% change) with 5.01 million (+7% change). Season averages: 1.30 in the demo with 4.70 million. 1.3 in the demo (0% change) with 4.70 million (+10% change). Season averages: 1.30 in the demo with 4.59 million. 1.3 in the demo (0% change) with 4.26 million (-11% change). Season averages: 1.30 in the demo with 4.54 million. 1.3 rating in the 18-49 demographic with 4.81 million total viewers. Season averages: 1.30 in the demo with 4.81 million. Year-to-year, the Dateline season premiere was down by 35% in the coveted demo (vs a 2.0 rating) and down by 34% in total viewers (vs 7.24 million). 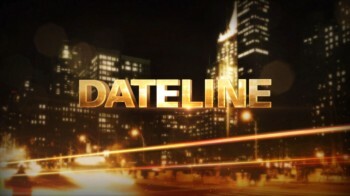 Reference point: During the 2011-12 season, the Friday night editions of Dateline averaged a 1.3 rating in the 18-49 demographic and 4.98 million viewers. Note: These ratings are collected by the Nielsen company and are the final national numbers. These are different from the fast affiliate numbers which are just estimates of the actual ratings and are reported by most other outlets. The final nationals are typically released within 24 hours of the programming or, in the case of weekends and holidays, a couple days later. What do you think? 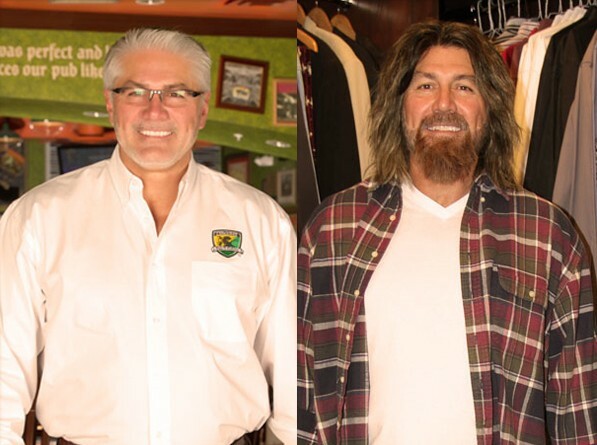 Do you like the Dateline TV series? Do you think it should be continue or should NBC consider another kind of news-magazine? but, also, is a part of this American life style that we can truly enjoy.